iDeal ITMS supports operations across both the RBU and FCB units of a bank for products ranging from money market instruments, repo, reverse repo, gilts and bonds, swaps, futures, equities, mutual funds to foreign exchange inter-bank and merchant products. Integrated exposure reports with domestic investments portfolios and forex holdings are available alongwith monitoring of integrated counterparty limits. A consolidated trial balance for both units can also be viewed at the end of the day. 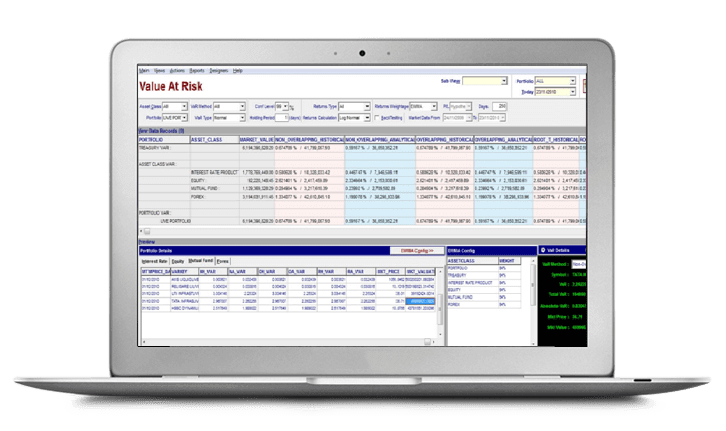 RiskMark is a powerful risk management tool that aids institutions in calculating capital charge calculations for market risk. 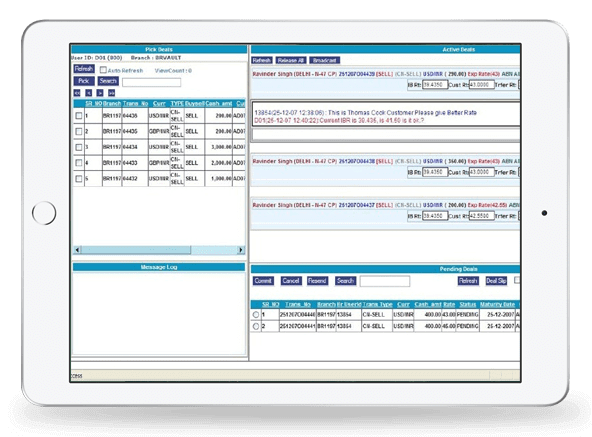 It collates market risk factors from market data providers on a daily basis, integrates exposures across asset classes, uses complex statistical techniques for full portfolio valuation and value at risk (VaR) calculations. The solution also offers a comprehensive limit engine for monitoring investment exposures and counterparty exposures. 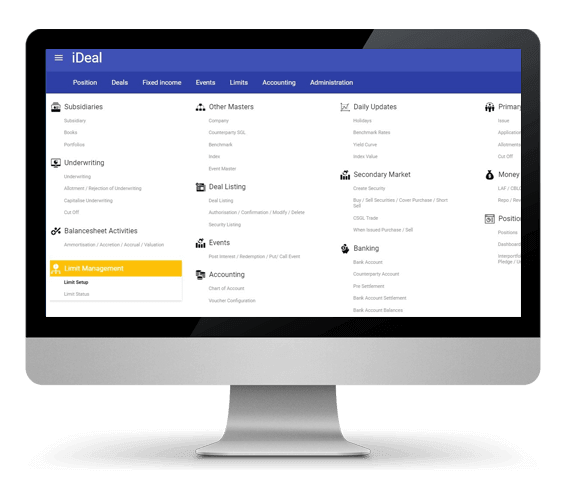 The solution provides decision enabling tools for making investment related decisions. 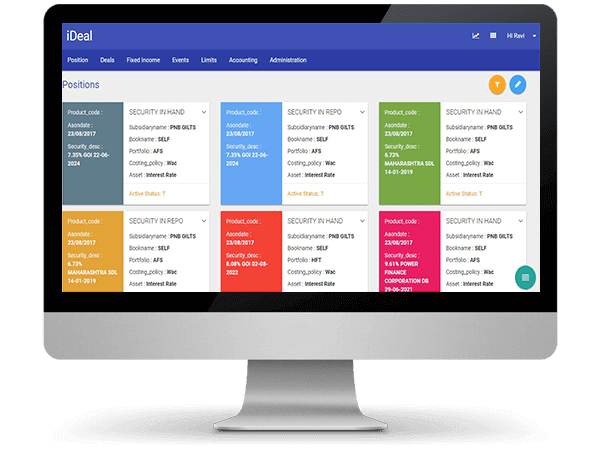 Dealers can use the pre deal analysis module for ascertaining impact of deals on profitability, investment limits and portfolio duration. What If analysis available for evaluating the impact of parallel and non parallel shifts to the term structures of interest rates. A suite of off the shelf MIS reports can be used for cash flow forecasting, stop loss limit monitoring, turnover and profitability assessment. With the business intelligence tool, making business decisions is faster, easier, and more collaborative. The tool puts rapid analytics and an associative experience right on your desktop and gives you the ability to share your insights with others. The drag-and-drop feature makes integrating data from multiple sources easy. 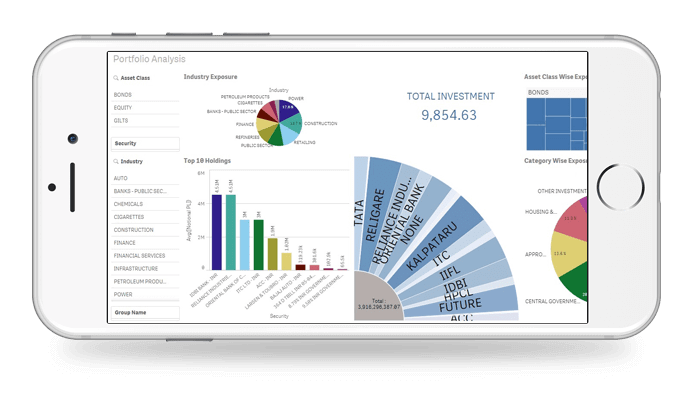 Users can create and view personalized, interactive data visualizations and dashboards inorder to make meaningful decisions. Regulatory and economic reforms, increasing cost of compliance, changing global economic perspectives and technology disruptions are transforming bank's trading and treasury functions today. This puts pressure on Banks to become more efficient and agile while exceeding the needs of their customers. Banks of all sizes are looking to drive true transformation so they can link human needs with banking offerings while leveraging investments in their existing core banking systems.